From the creator of InuYasha and Ranma 1/2 comes a new manga series! 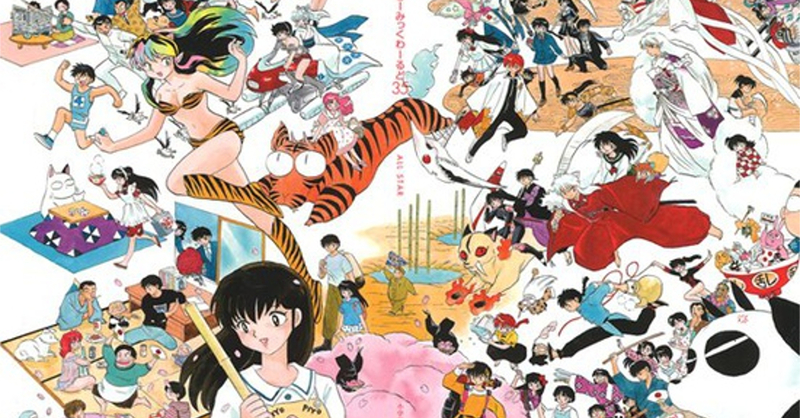 We can't wait for Rumiko Takahashi's next work! If you’re a fan of the classic manga and anime series InuYasha and Ranma 1/2, here’s some news that should get you excited! The creator of the aforementioned series, Rumiko Takahashi, is currently working on her latest manga series that will launch in Spring 2019 on the Weekly Shonen Sunday magazine. Takahashi’s new manga was announced in a recent advertisement (which you can see below). Though not much details have been released regarding what the new manga will be about. Takahashi’s new upcoming manga is big news, especially as 2018 was the first in 40 years that she did not work on a single serial for Weekly Shonen Sunday. Being one of the most prolific manga creators in the industry, the announcement of Takahashi’s new project drew great responses from her Japanese fans. For us Filipino anime fans, we’re hoping that the new project becomes a big success, enough to maybe even get an anime adaptation a la InuYasha and Ranma 1/2. Story: Comic Natalie via Sora News 24. My Hero Academia Season 3 Release date confirmed!